Many people are staunch proponents of 'you get what you pay for' and when it comes to supplements, that saying translates into higher quality. While that may be true in some instances, when it comes to Coral Calcium Supplements, that may not be the case, depending who you listen to. The benefits of coral calcium have long been hailed as some sort of magical cure all to a long list of ailments. However, it also became one of the most expensive calcium supplements on the market. Studies revolving around Okinawa in Japan found that the people of Okinawa are among the world�s longest living people, with the highest concentration of centenarians. Research also found that they had a low mortality rate from diseases that plague other countries, such as heart disease and cancer. It is believed in some quarters that this longevity is due to the fact that the people of Okinawa drink water that contains coral calcium, and cite that as proof of its effectiveness. 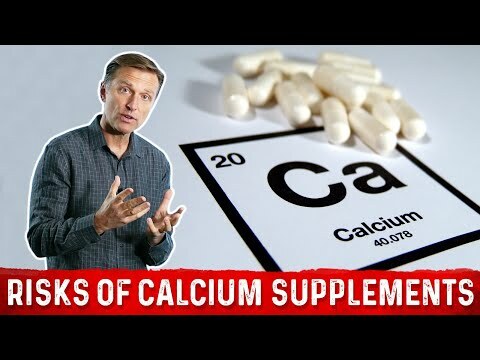 Those who are in disagreement say, that while it does boost their calcium intake, they still fall below the calcium intake of Western countries. Coral calcium comes from coral and the shells of sea creatures and is either fossilized or is harvested directly from the seabed. In the case of fossilized coral, great care is taken not to damage living coral reefs. For the most part, the theory that the fresher the deposit the more potent the coral calcium holds true. However, companies that use the fossilized source claim that it is just as good as other sources. Coral and shells are made up of calcium carbonate, one of the cheapest and most common calcium supplements which is often the form used in antacids. Critics therefore feel that the high price tag on coral calcium supplements is unwarranted, and that you could get the same benefits by popping a couple of Tums. There are also several minerals found in coral calcium in trace amounts, which proponents believe help with its effectiveness over other calcium sources. This may make the key difference. Those who believe in coral calcium say that it has all of the benefits of any traditional calcium supplement and then some. This includes stronger bones and teeth, healthier hair and nails, prevention of osteoporosis, improved function of bodily systems and better healing, and improved weight loss. Crucially however, there is little to no research on the topic, and since supplements have very little government regulation, manufacturers can get away with exorbitant claims. Many people end up relying on the testimonies of other users when making their decisions on whether or not to use the product. As with any other supplement or medication, each person can handle it differently, causing a wide range of experiences. There are, however, plenty of reliable calcium supplements if you are looking for a cheaper source of calcium. Generic calcium carbonate supplements can cost as little as five cents a day, compared to as much as a dollar a day for coral calcium. There is no reason to think that coral calcium is anything magical, let alone better than other calcium sources, or worth the extra cost. Another benefit being cited about coral calcium is the fact that it contains over 70 trace minerals. Calcium does need some of these trace minerals in order to be absorbed most effectively. However, critics of coral calcium suggest that the minerals are easily found in a simple mineral supplement - and at a fraction of the cost. Until further research is done, it is difficult to say what exact role these minerals have and whether or not they affect the efficiency of the calcium. Those who are for coral calcium cite studies that coral calcium may be able to reverse or stop cancer growths, prevent heart disease, hypertension, arthritis, Alzheimer�s, and diabetes. They feel that in taking coral calcium you are being proactive in ensuring your good health. At this point in time, there are no definitive studies either for or against coral calcium. For the most part, if you have the desire and the financing to take it, it will probably not hurt your health regime. If, on the other hand, you decide to use your health budget elsewhere, you are also just as justified in doing so.